Dear all creative friends, I need help. I want these. But they are $19 for the small and $39 for the large. to set on these shelves. So any ideas???? Hey I love that light about the shelves. Is that IKEA? I don't have any ideas for you though about the baskets. Sorry. ABOVE the shelves, I need spellcheck. How about covering a cheap wicker type basket from Michael's with the fabric? You're just a little craftier than me if you can figure this out. Hey--cool idea! Scratch head. Chew lip. I think you have several options. It depends on how involved you want to get. 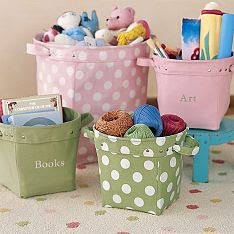 You could also abandon the box idea, and find a pattern for a sturdy, squatty-type tote you like, and make several. Then you could grab and run, depending on what you want to store in them. Or you could just bite the bullet and pay up. Use the fabric for a curtain. Or a dress. Or a diaper cover. Heh heh. That's real encouraging! By the way, here's a tip you may already use--I have all the major pattern companies bookmarked, and before I go to my creativity store, i.e. Joann's, I make my choice so I don't waste time there. Hey did you want me to comment once more, or did you get that the first two times? I think Joyce has adequately covered the topic but here are some more ideas. 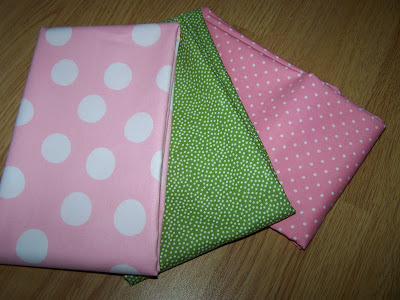 --The blog All Buttoned Up has a tutorial about making small fabric boxes using timtex (stiff interfacing) I don't know how well they would work at the size you're thinking. --A cheap idea would be to buy some spray glue and cover cardboard boxes. 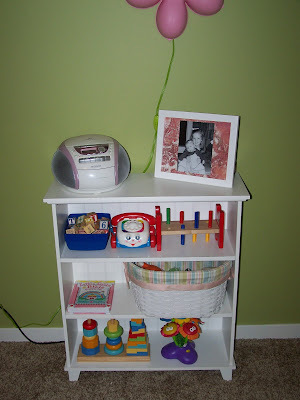 It's not a classy solution in the long term but would probably hold up for a couple of years of bookshelf use. --Another cheap idea would be to buy the plain canvas boxes that they have at Target or other big box store and then use iron-on interfacing to pretty them up. Leave it to your crafty friends...I'll come over and tell you how fabulous they look when you are done. That will be my contribution. Wow, I'm getting some great ideas just reading from your comments. Can't wait to see the finished project!